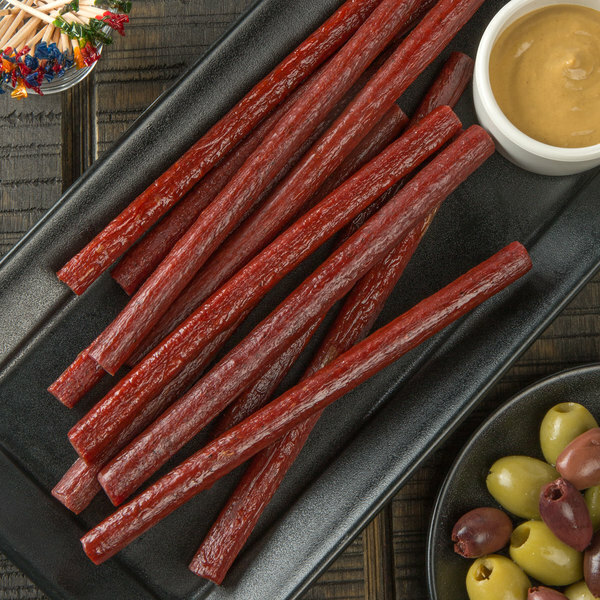 Provide your customers with a savory snack unlike any other with these Seltzer's Lebanon Bologna sweet bologna snack sticks. 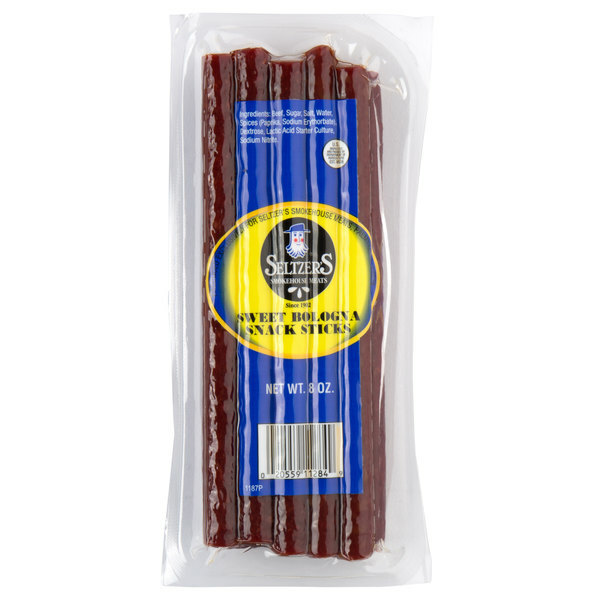 Featuring a chewy, toughened skin, with a tender, meaty inside, these bologna snack sticks have a sweet, smoked taste and aroma to accentuate the hearty and satisfying flavor of the meat. Plus, they are high in protein, making them a satisfying snack for curbing that mid-day hunger while providing a burst of energy! Serve these plain at your deli or cafe, or for a protein-packed snack, try pairing it together with cubed cheddar cheese, grapes, and pretzels to create a fresh, healthy snack tray for customers to take with them to their next destination. Or, showcase by cash registers in your convenience store, or in store aisles to capture impulse buys. 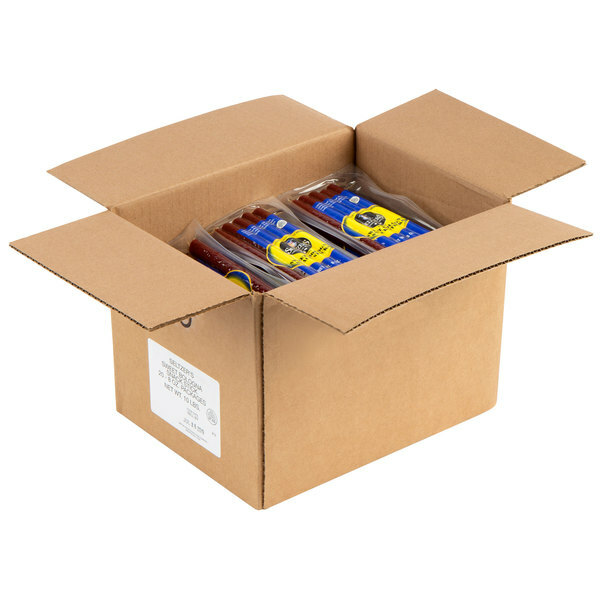 These bologna snack sticks come fully cooked and ready to eat, and are in a vacuum-sealed bag to maintain optimal freshness. Plus, its 8 oz. 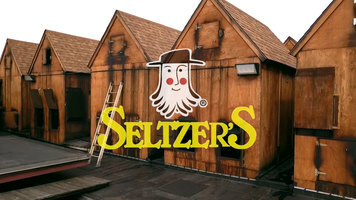 packaging and classic flavor will appeal to all of your on-the-go customers; whether they are hiking, fishing, going to the gym, or just want a mid-day snack, Seltzer's offers the perfect treat!